Although a significant challenge, successful planting and establishment is of course only the first step towards restoring a forest. Moist tropical forests tend to have much higher tree species richness and diversity than do our temperate forests. While a forest in the Coast Range or Cascades of Oregon may have a dozen or so trees and shrubs (and is often dominated by just a few tree species) a similar area hill evergreen forest in Northern Thailand may have 100 to 150 species. Replicating or recreating this diverse forest in one fell swoop at planting is impractical, or impossible. There are significant challenges of producing so many species in the nursery and also, many species seem poorly adapted to the harsh conditions of abandoned farm fields, and simply do not survive and prosper. 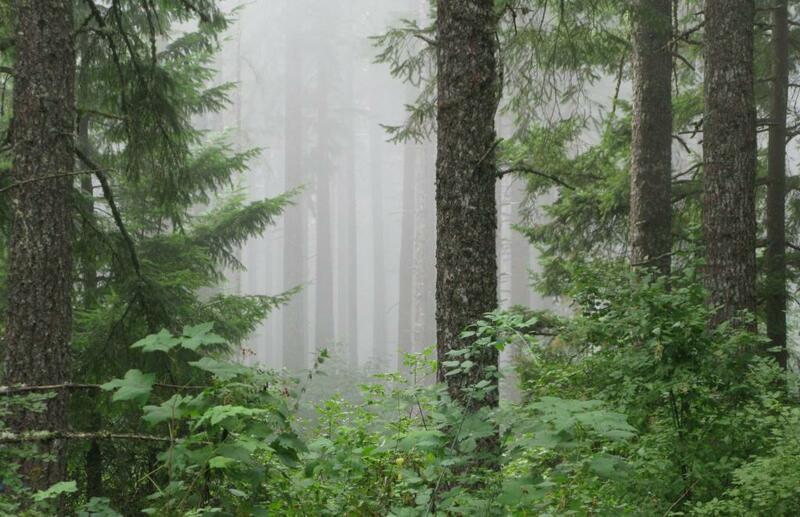 Restoring a forest means restoring conditions and processes which in turn help create the forest. 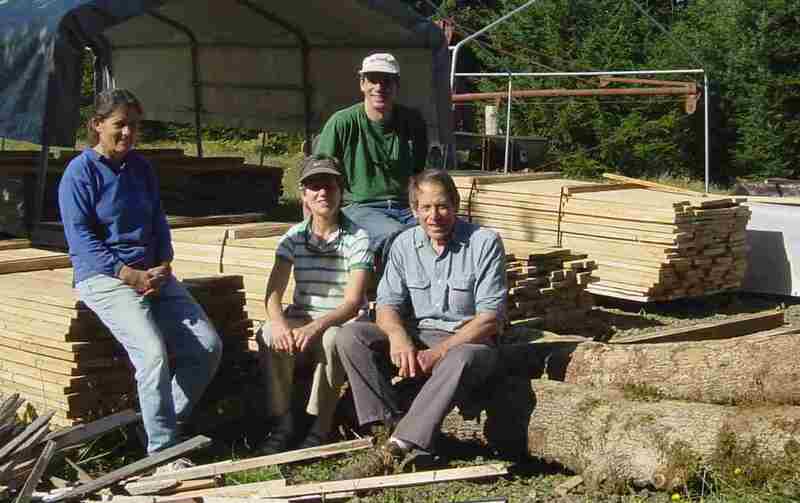 After screening over 400 species, FORRU selected about 20 hardy species to plant as the “framework” for the future forest structure and processes. Species were selected according to their suitability to nursery production, survival and growth in abandoned field conditions, as well as to represent different growth forms and several successional stages. A great many of the selected framework species bear fruit, which is meant to encourage birds to visit the site in the hopes that they will carry in other native species. This is a key idea behind the framework species approach (adapted from Australia): along with changing the physical environment (light, leaf litter and organic matter) to favor establishment and survival of additional species, the planting needs to encourage mechanisms that deliver those species to the site. Initial findings are promising, with an increase in the number of birds and small mammals observed, and over 70 additional tree species recruited to the study plots. But what will be the fate of those new seedlings? Does their presence today tell us what the future forest will be? 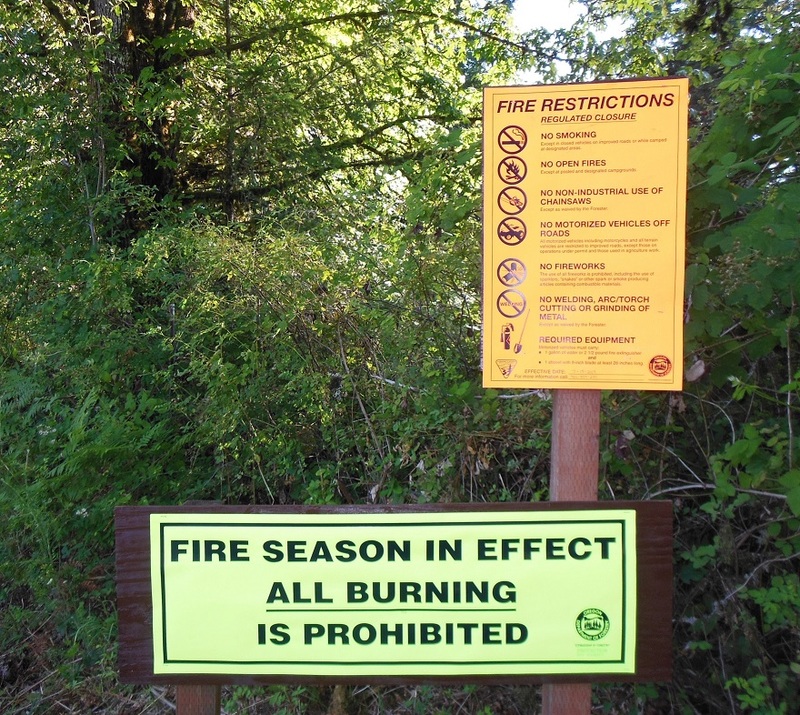 Most foresters and woodland owners in Oregon have seen a carpet of seedlings emerge on the forest floor following a thinning or other disturbance that lets more light reach the ground and maybe exposes some soil. 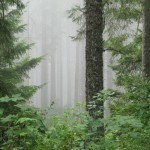 Douglas-fir, grand fir, hemlock, alder and maple may all show up in abundance. Familiarity with our local species tell us that the fate of these seedlings is not the same. 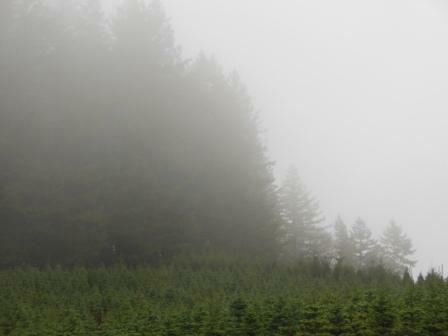 Douglas-fir generally will not grow to maturity in those conditions, while the hemlock or maple might. Hathai (my graduate student) is trying to develop a similar understanding of the trees which make up the hill evergreen forests in Thailand. Her work on the regeneration dynamics of trees in the understory should help people here in Thailand have a better idea of the likely fate of the seedlings, and if their arrival heralds development of more complex and diverse forests in the future. Her work may also suggest ways to manage the plantings to best meet the restoration/management goals. Planting trees is a central part of woodland ownership. For many folks, planting was the first thing they had to do upon buying cut-over land. For others, it is part of leaving things better than they found them, of leaving a legacy or creating opportunities for the next generation. Planting is a critical step towards growing a new forest, whether you are reforesting a harvested unit, or converting pasture or other farm ground to a riparian buffer. But it is not the first step in the process. That began a year or more ago with a look at the ground to decide what to plant and how to prepare the site. It continued with the work done to be ready to plant, and will go on a few more years after the seedlings are in the ground. At each step, in each season, success comes from focusing on the task at hand. I was reminded of this when I was out visiting Bob Feldman last month. 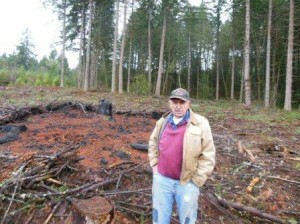 Bob and his family tend about 350 acres of conifers, oak woodlands and Christmas trees in the Eola Hills northwest of Salem in Polk County. We walked down the hill to a 6 acre clear cut he harvested last summer. Before the logger left with his equipment, Bob had him deck some logs for firewood and pile the excess slash for burning. The site looks great, ready to plant. So now Bob is ready to go with his ground ready, 2-0 seedlings ordered and planting crew lined up. After picking them up from the nursery, he will store his seedlings in a local cooler, pulling out a day’s-worth at a time to keep them in the best condition possible. Bob stressed the importance of lining up a good contractor, someone with experience and a record of success they can demonstrate. Be sure to oversee their work, establish accountability and to make sure they do a good job. How? Get out there with them. Spend a good part of the first day with them, and a little time each day after that. Make sure you have explained how you want the job done, and to show that you care that it is done right. Check to see that things are being planted at the agreed spacing. Dig up a few seedlings to see that they are planted correctly, snug, at the right depth and not J-rooted. Check across the planting crew, and bring concerns to the crew leader. When finished, go out and look to see if you got what you asked for. Good advice. But what if you are the leader, and the crew is your family? Bob has lots of experience there too, and says if they are new to it, then you have to teach them how to do it right. Stay with them and supervise until they get the hang of it. If adults, they should be as interested is getting it done right as you. If kids, their interests are a bit more complicated. Be patient with kids. As important as it is, you are teaching them more than “green side up, brown side down.” You are teaching them how to grow a new forest. One of the guiding principles of the Extension Service is to be a source of research-based information. Research-based? Meaning that the information we provide is not supposed to be based on rumor or anecdotes, but is supported by science. University researchers are obviously an important source of our research-based information. Nonetheless I believe that “research” and “science” come in many forms and on many scales. 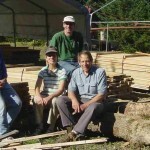 Many woodland owners like to experiment on their own forests to come up with management techniques that work for them. I’ve found this especially to be the case when it comes to preventing deer and elk damage to western redcedar seedlings: from painting seedlings blue to scare tactics, I think I may have heard it all. Are these experiments “research”? Maybe – it depends on how they are set up and measured. 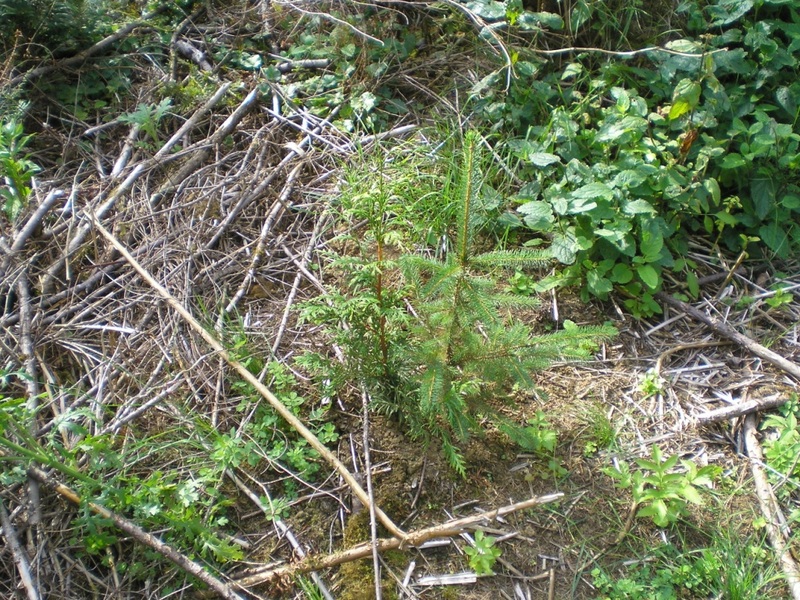 Recently a forest owner wrote to ask about one such browse deterrent method whereby a cedar and a spruce seedling are planted together (see photo). (The hypothesis: the animals are deterred by the sharp spruce needles; the spruce thereby protects the cedar; eventually, when the cedar has grown above browsing height, the spruce is carefully cut away.) The individual wanted some specific guidance on how to do this, and wanted to see a demonstration site. Although we know that people have tried this method, to our knowledge none of these plantings were carried out in a scientifically valid way. We can provide a hypothesis on how things might turn out, but to date we do not have research-based information to provide. Instead, we can only rely on anecdotal evidence. Have a control. 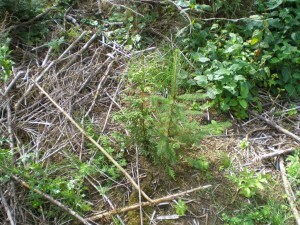 Suppose you planted 100 cedar/spruce in the same hole, but did not plant any cedar without spruce. If the cedar are not browsed, it is not possible to know whether the spruce had any effect. It might just be that the deer were not hungry that year. In a controlled experiment, you leave a portion of the area untreated, or without the variable whose effect you are trying to test. Have a large enough sample size. Suppose you only plant five spruce/cedar combinations, and of them, two cedars are browsed and three are unbrowsed. It is hard to draw a conclusion from five seedlings. Was the treatment 60% effective, or did the two browsed trees happen to be unluckily planted right along a deer trail? If you had planted 50 spruce/cedar combos, and only two were browsed, then it is easier to say that the technique is effective. Replicate. What works on a north slope in Columbia County may not be effective on a south slope in the Willamette Valley; what works in a dry year may not work in a wet year. By repeating the entire experiment in more than one year or on more than one site, you can draw conclusions that have more power. This is probably the hardest one for small woodland owners to pull off individually. However, collectively there are a lot of experimenters out there. What if we could compile the results from everyone’s scientifically valid experiments? 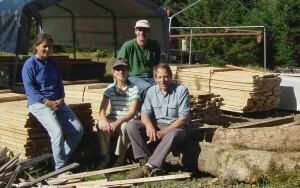 Then we might have some real research-based information (and some real value to all you frustrated cedar growers). Here’s an announcement for what looks to be a great field tour in Clackamas County on Saturday, April 7th. For more information or questions, call Jean at the Clackamas County Extension office, 503-655-8631. Tree School catalogs are here! We just got a stack of Tree School catalogs mailed to us at the Extension office, so if you need one stop by to pick up a copy. 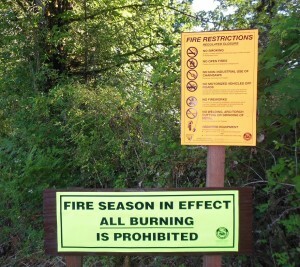 The catalog should also be online at http://extension.oregonstate.edu/clackamas/forestry within the next few days. Tree School is Saturday, March 24th. Register early to get into the classes that you want – there’s lots to choose from!